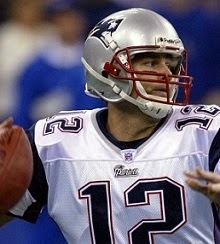 The New England Patriots and Indianapolis Colts both had 9-2 records as they faced off on November 30, 2003. The Patriots, after getting off to a 2-2 start, had won seven straight contests. Under the leadership of Head Coach Bill Belichick, they were a deep and cohesive team on both sides of the ball. While the running backs were average and the receiving corps contained no elite performers, QB Tom Brady (pictured above), in his third season as the starting quarterback, had already established himself as one of the league’s best. The tough defense was strongest at linebacker and the backfield. Indianapolis, coached by Tony Dungy, also had an outstanding talent at quarterback in Peyton Manning, now in his sixth season. In addition, the Colts had RB Edgerrin James and WR Marvin Harrison, who were among the NFL’s best at their positions. Manning and Brady had faced off twice thus far since 2001, with the Patriots coming away as winners in both instances. There were 57,102 fans in attendance at the RCA Dome in Indianapolis. The Patriots had first possession and went 50 yards in 11 plays. Tom Brady completed five passes and Adam Vinatieri capped the drive with a 43-yard field goal. The first series for the Colts ended when Peyton Manning fumbled and DT Dan Klecko recovered at the Indianapolis 36. The Patriots made the most of the break as Brady completed another four throws, the longest to RB Kevin Faulk for 16 yards, and RB Michael Cloud ran the last four yards for a touchdown. With Vinatieri’s extra point, the New England lead was up to 10-0. The Colts went three-and-out on their next possession and, following the punt, the Patriots put together another scoring drive as the game moved into the second quarter. This time they went 73 yards in nine plays that ended with Brady throwing to WR Dedric Ward for a 31-yard TD. Down by 17-0, the Colts responded with a 10-play, 53-yard series. Manning completed four passes, including one to WR Marvin Harrison for 20 yards, and Mike Vanderjagt kicked a 40-yard field goal to get the home team on the board. The Patriots reached the Indianapolis 40 before being forced to punt, and the Colts, taking over at their 14, proceeded to drive 86 yards in 11 plays. Manning converted a third-and-10 situation with a pass to Edgerrin James that gained 17 yards and, following the two minute warning, James carried for 20 yards to the New England 31. Manning had back-to-back completions to Harrison for nine yards and WR Troy Walters for 15 and, three plays later, he connected with TE Marcus Pollard for an eight-yard touchdown. Vanderjagt’s PAT made it a seven-point game with 12 seconds remaining in the half, but on the ensuing kickoff the Colts chose to kick away rather than squib it, and WR Bethel Johnson (pictured at left) went 92 yards for a TD. New England took a 24-10 lead into halftime. The Colts had the ball first in the third quarter and punted. The Patriots responded with a long drive that covered 61 yards in 11 plays. Brady completed another four passes, one to Ward for 19 yards while facing third-and-14, and the visitors also recovered two of their own fumbles along the way. 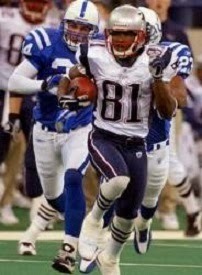 Cloud ran one yard for a touchdown and, with Vinatieri converting, New England’s margin was up to a commanding 31-10. It didn’t get any better for the Colts when a Manning pass was intercepted by CB Tyrone Poole, but two plays later CB Donald Strickland picked off a Brady throw and returned it 24 yards to the Indianapolis 42. It seemed to turn the tide as the Colts advanced 58 yards in nine plays. James ran effectively and, facing fourth-and-nine, Manning connected with WR Reggie Wayne for a 13-yard TD. Vanderjagt added the extra point. The Colts got the ball back shortly thereafter on another interception, this time by CB Nick Harper in New England territory, and Manning immediately threw to Harrison for a 26-yard touchdown. In stunning fashion, the home team was only down by 31-24 as the game headed into the fourth quarter. The Patriots punted following their next series, and the Colts proceeded to drive 70 yards in nine plays. Manning completed four passes, the last to Walters for a six-yard TD and, with Vanderjagt’s kick, the game was tied at 31-31. The Patriots had been quiet on offense during the Indianapolis comeback, but now they benefited from a 67-yard kickoff return by Johnson to get excellent field position at the Colts’ 31. Brady threw twice to WR David Givens for 18 yards and, two plays later, he connected with WR Deion Branch for a 13-yard touchdown. Adding the extra point, New England was back on top by seven points. The Colts drove just past midfield on their next possession but had to punt. They got the ball back three plays later when Faulk fumbled and DE Raheem Brock recovered at the New England 11. Manning threw three incomplete passes and Vanderjagt kicked a 29-yard field goal to make it a four-point game with 3:27 to go. The Patriots were only able to run off a little time on their next possession before punting, and the kick by Ken Walter went just 18 yards. The Colts started off at the 50 and Manning tossed passes to James for five yards and Wayne for 13. RB Dominic Rhodes ran for nine yards before the two minute warning. After James ran for three yards, Manning threw to Harrison for nine yards to get inside the 10 and James ran for seven yards to give Indianapolis a first and goal at the two yard line. The Colts were without TE Dallas Clark, FB Detron Smith, and RB James Mungro, their short-yardage specialist, all lost to injuries, and their absence became more apparent as Indianapolis sought to reach the end zone from down close. James gained a yard but then was stopped for no gain on second down. Manning went to the air on third down to no avail. James carried once more on first down and again came up short as LB Willie McGinest, who had earlier twisted his knee, blew into the backfield to make the stop (pictured below). The Patriots had held on to win by a final score of 38-34. The Colts led New England in total yards (370 to 282) and first downs (26 to 21). The Patriots turned the ball over three times, to two suffered by Indianapolis. They also benefited from two kickoff returns that generated 159 yards and one direct score while setting up another TD. Tom Brady completed 26 of 35 passes for 236 yards and two touchdowns along with two interceptions. Deion Branch had 6 catches for 64 yards and a TD while Kevin Faulk contributed 5 pass receptions for 36 yards to go along with his 42 rushing yards on 15 carries. Bethel Johnson had the key kickoff returns and overall averaged 38.4 yards on his five runbacks. For the Colts, Peyton Manning was successful on 29 of 48 throws for 278 yards and four TDs while tossing one interception. Edgerrin James ran for 88 yards on 25 attempts and caught 8 passes for 50 more yards. Marvin Harrison gained 88 yards on his 7 catches that included a touchdown. The Patriots kept winning the rest of the way, finishing the regular season on top of the AFC East with the NFL’s best record at 14-2. Indianapolis lost once more to end up first in the AFC North with a 12-4 tally. The teams faced off for the AFC Championship and New England again came away the winner before moving on to defeat Carolina in the Super Bowl for a second NFL title in three years. The Seattle Seahawks were at 6-6 and fighting to remain in contention for a playoff spot as they hosted the Kansas City Chiefs on November 27, 1983. 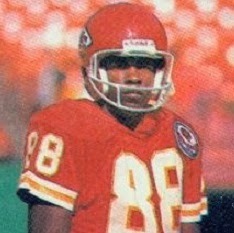 In their first season under Head Coach Chuck Knox, there was a star on offense in rookie RB Curt Warner (pictured above), which was a help to inexperienced QB Dave Krieg, who took the place of long-time starting QB Jim Zorn. WR Steve Largent provided a steady veteran target for Krieg’s passes. The defense had some excellent players in FS Ken Easley and DE Jacob Green, but by and large the unit was not a strong one and gave up too many points. The Chiefs, who had not been to the postseason in twelve years, also had a new head coach in John Mackovic. The result had seen Kansas City become a pass-oriented club with QB Bill Kenney throwing to a group of wide receivers led by Carlos Carson. 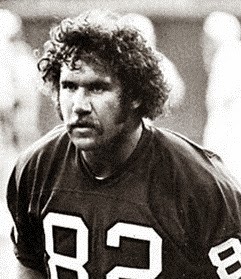 However, the tragic drowning death of RB Joe Delaney just prior to training camp left a void in the ground attack. The Chiefs were struggling at 5-7. Attendance at Seattle’s Kingdome was 56,793. The Chiefs had the game’s first possession and drove 80 yards in nine plays. RB Theotis Brown ran effectively to start things off and RB Ken Thomas took a pitchout and gained 28 yards down the right sideline to the Seattle 33. Three plays netted another six yards before WR Carlos Carson ran for 18 yards on a reverse and, two plays after that, Bill Kenney passed to WR Henry Marshall for 11 yards and a touchdown. Nick Lowery added the extra point. The teams traded punts before the Seahawks put together a scoring series. Curt Warner ran for a 28-yard TD that capped a methodical 66-yard possession and Norm Johnson tied the score with a successful PAT. Kansas City was driving into Seattle territory as the first quarter came to an end. Kenney completed three passes for 43 yards and a defensive holding penalty helped the Chiefs out of a second-and-17 jam. Three plays into the second quarter, Kenney threw to WR Stephone Paige for a 17-yard touchdown. Lowery’s successful conversion again made it a seven-point game. The Seahawks came right back as Warner ran for 25 yards on the next play from scrimmage. Keeping the ball on the ground, Seattle advanced to the KC 30 before Johnson attempted a 49-yard field goal. The kick sailed wide to the left. Following a punt by the Chiefs, the Seahawks moved backward on their next possession as Krieg was sacked for a loss of 11 yards and an illegal use of hands penalty took the ball back to the Seattle seven. Krieg fumbled while attempting to hand off and DE Mike Bell recovered for the Chiefs at the one yard line. From there, Kenney ran the ball in for a touchdown and the visitors were up by a score of 21-7. The Seahawks came back with a five-play, 67-yard drive. Krieg (pictured at right) threw to Steve Largent for 24 yards and had back-to-back 18-yard completions to WR Byron Walker, the second of which was good for a TD. Johnson’s extra point narrowed Kansas City’s margin to 21-14. The Chiefs had to punt with just over a minute remaining in the first half, but got the ball right back when CB Albert Lewis intercepted a Krieg throw and returned it 34 yards to the Seattle 13. Two plays later, Brown ran 13 yards for a touchdown and, with the successful conversion, the Chiefs were ahead by 28-14 at the half. The Seahawks had the ball first in the third quarter and punted, but they regained possession when Thomas fumbled after catching a short pass and CB Dave Brown recovered for Seattle. It didn’t look like the home team would capitalize when Krieg was sacked and then threw an incomplete pass, but facing third-and-17 he completed a throw over the middle to FB Dan Doornink that went the distance for a 27-yard TD. Johnson added the extra point to again make it a seven-point game. Seattle got the ball back on the ensuing kickoff when WR Anthony Hancock fumbled when hit by RB Eric Lane and safety Paul Moyer recovered at the Kansas City 18. Four plays later, Warner reached the end zone from a yard out and Johnson’s extra point tied the score at 28-28. The Chiefs again punted following their next series and, following a 16-yard return by WR Paul Johns, the Seahawks had good starting field position at their own 46. Krieg threw to Largent for 24 yards and the drive reached the KC 25 before stalling. Johnson kicked a 42-yard field goal and Seattle was in the lead at 31-28. The Chiefs, quiet thus far during the period, responded with a 10-play, 76-yard possession. Thomas started things off with a 14-yard run and Kenney converted a third-and-seven situation with a completion to Marshall for 17 yards. Another Kenney pass, this time to Carson, picked up 28 yards to the Seattle seven and, three plays later, Kenney kept the ball himself on a quarterback sneak for a one-yard touchdown. Lowery added the extra point and the Chiefs were back in front by 35-31. The Seahawks were driving as the game headed into the fourth quarter, with Krieg having completed a third-and-17 pass to WR Byron Walker for 26 yards to the Kansas City 45. But after short passes complemented by Warner runs got the ball to the KC eight, Krieg fumbled while being sacked by NT Dino Mangiero, who recovered the ball and ran 32 yards to the Kansas City 45. Kenney immediately went to Carson for a gain of 35 yards and, two plays later, he passed to Carson again for an 18-yard touchdown. With Lowery’s conversion, the Chiefs extended their lead to 42-31 with 10:54 left to play in regulation. Back came the Seahawks, who drove 69 yards in eight plays. Krieg passed to TE Charle Young for 18 yards and, following a run by Warner for seven yards, Johns gained 26 yards on an end-around. 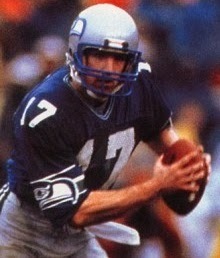 The series stalled at the KC 12, but on fourth-and-four Largent took the ball on an end-around and threw it back to Krieg, who gained 11 yards to the one. From there, Warner ran for a TD and, adding the extra point, it was a four-point game. The Chiefs went three-and-out on their next possession and punted. Taking over at the KC 40, the Seahawks again put together a scoring drive over the course of eight plays. Warner, who had already set a franchise single-game rushing record, added to the total with 15 yards on three attempts and Krieg completed a nine-yard throw to Young. However, two incomplete passes had Seattle facing a fourth-and-six situation at the 14 yard line. Krieg connected with Johns in the end zone for a touchdown and, with the clock down to 2:15, the Seahawks were in the lead by 45-42. The Chiefs went exclusively to the air in a series that started from their own 20. Facing third-and-four, Kenney passed to Paige for 29 yards and then followed up with a completion to Carson for 24 yards to the Seattle 21. Another pass intended for Carson fell incomplete but Kenney then threw for Theotis Brown in the left corner of the end zone for a 21-yard TD. Lowery’s extra point attempt was no good, but Kansas City was in front by 48-45. The Seahawks had 1:26 to work with –and thanks to the missed extra point, only a three-point deficit to deal with – as they took possession at their own 17. Krieg passed to Doornink for 18 yards, but two incomplete throws had them facing third-and-ten. Doornink caught another pass for 11 yards and a first down and, two plays later, Krieg connected with Jackson for a 29-yard gain to the KC 25. Two passes into the end zone were incomplete, but Johnson kicked a 42-yard field goal to send the game into overtime at 48-48. The Seahawks received the kickoff for OT and RB Zachary Dixon returned it 47 yards to the Kansas City 48 yard line. Warner ran the ball three times, the first for a 17-yard gain, and Johnson again came through with a 42-yard field goal to give Seattle a 51-48 win at 1:34 into the extra period. The 99 points were the third most scored in a game in NFL history up to that time. In a game with plenty of offense on both sides, the Seahawks outgained Kansas City (531 yard to 431), with 280 yards of that total coming on the ground. The teams combined for a league record with 59 first downs (broken many times since), with Seattle again having the edge (33 to 26). The Seahawks turned the ball over three times, to two suffered by the Chiefs, and KC registered six sacks, to one for Seattle. 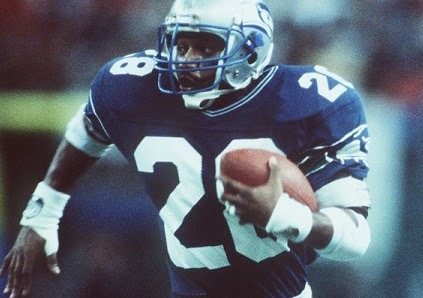 Curt Warner had the biggest performance on offense for the Seahawks, rushing for 207 yards and three touchdowns on 32 carries. Dave Krieg completed 16 of 31 passes for 280 yards and three TDs with one interception, as well as two fumbles. Byron Walker and Steve Largent each had four catches, for 75 and 66 yards, respectively, and Walker also scored a touchdown while Largent had the one pass completion. Zachary Dixon did his part on kickoff returns as he averaged 27.4 yards on five runbacks. 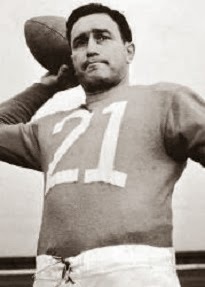 For the Chiefs, Bill Kenney was successful on 21 of 38 throws for 311 yards and four touchdowns while giving up no interceptions. He also ran for two short TDs. Carlos Carson (pictured at right) had 7 pass receptions for 149 yards and a score and Henry Marshall contributed 5 catches for 59 yards and a touchdown. Theotis Brown ran for 56 yards on 13 attempts that included a TD plus caught two passes for 27 yards and another score. Ken Thomas added 44 yards on 8 carries and gained another 22 yards on three receptions. The win kept the Seahawks alive for a playoff spot and they won two of their last three games to finish at 9-7, which was good enough for second place in the AFC West and a Wild Card berth. It was the franchise’s first appearance in the postseason and the Seahawks made the most of it by winning two contests and advancing all the way to the AFC Championship game before succumbing to the Raiders. Kansas City ended up at the bottom of the division with a 6-10 record. Curt Warner led the AFC in rushing with 1449 yards on 335 carries (4.3 avg.). He also caught 42 passes for another 325 yards and scored a total of 14 touchdowns. He was chosen to the Pro Bowl and received AFC Rookie of the Year honors from UPI. 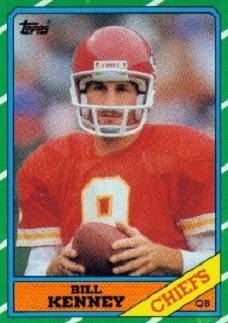 Bill Kenney topped the NFL in pass attempts (603) and completions (346) and paced the AFC with 4348 passing yards. He had 24 TD passes as opposed to 18 interceptions and was also named to the Pro Bowl. Carlos Carson had a breakout season that consisted of 80 catches for 1351 yards (16.9 avg.) and seven touchdowns. The Denver Broncos were at 7-4, having won three straight games – the last two in dramatic fashion – as they faced the Seattle Seahawks on November 26, 2000. Head Coach Mike Shanahan’s team was without injured starting QB Brian Griese, and backup QB Gus Frerotte was taking his place. 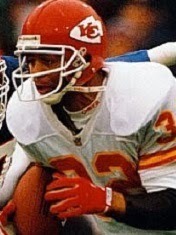 RB Mike Anderson (pictured above), a 27-year-old rookie, was proving to be a welcome surprise, especially with former star RB Terrell Davis struggling after sustaining a major knee injury the previous year. Seattle, coached by Mike Holmgren, had a 4-7 record after having lost five straight games at one point, although they had won their last two. While 31-year-old RB Ricky Watters was still very productive, the team had problems at quarterback, where Brock Huard couldn’t stay healthy and Jon Kitna was not showing the consistency to be a successful starter. The defense had some good individual performers but otherwise was poor against both the run and pass. There were 68,661 fans in attendance at Husky Stadium and they saw a scoreless first quarter. Brock Huard started behind center for the Seahawks, but went down early in the second quarter after completing three of six passes for 48 yards and was replaced by Jon Kitna. Three minutes into the second quarter, Seattle DE Michael Sinclair recovered a Frerotte fumble and returned it 63 yards for a touchdown and, with Rian Lindell adding the extra point, the home team was ahead by 7-0. The Broncos responded with a 10-play drive that covered 59 yards. Gus Frerotte converted a third-and-one with a nine-yard run and completed passes to TE Dwayne Carswell for 20 yards and WR Rod Smith for 22 yards to the Seattle 19. 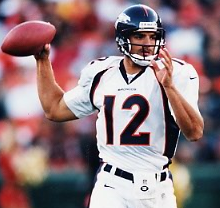 The series ended with Jason Elam kicking a 35-yard field goal. The Seahawks came back with an 81-yard scoring possession in nine plays. In a third-and-10 situation deep in his own territory, Kitna connected with Ricky Watters for 13 yards. Two plays later, Watters broke away for a 55-yard run to the Denver 13. 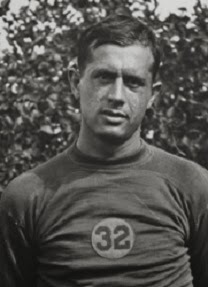 Watters remained the prime mover as, facing third-and-seven, he caught a pass from Kitna for nine yards to set up his carry for the last yard and a TD. Lindell added the PAT and Seattle was up by 14-3. With time running down in the first half, the Broncos came back and struck quickly, going 66 yards in five plays. Frerotte passed to Smith for 25 yards and then followed up with a throw to TE Desmond Clark for a 43-yard touchdown. Elam added the extra point and the score was 14-10 at halftime. In the third quarter, FS Eric Brown recovered a fumble by Seattle WR Darrell Jackson and the Broncos went 77 yards in nine plays. Along the way, Frerotte threw to Clark for a 25-yard gain and Mike Anderson ran the last 15 yards for a TD. Elam put the visitors up by three points at 17-14. It seemed as though the Seahawks would move back in front as they drove into Denver territory, but a Kitna pass into the end zone was picked off by Eric Brown. However, Seattle’s defense came through with another big play, this time when Anderson fumbled and LB Chad Brown picked it up and ran 10 yards for a touchdown. Lindell converted and the Seahawks were back in front at 21-17. Yet another fumble by the Broncos, this time by CB Deltha O’Neal on the ensuing kickoff, gave Seattle an opportunity late in the period. LB Isaiah Kacyvenski recovered at the Denver 31 and four plays later Lindell kicked a 42-yard field goal. The Seahawks took a 24-17 lead into the fourth quarter. A Frerotte pass was intercepted by CB Shawn Springs to give Seattle the ball at the Denver 37, but the Seahawks came up empty when, attempting to convert a fourth-and-one situation at the 28, rookie RB Shaun Alexander was stopped for no gain. The Broncos responded with a 72-yard drive in six plays. Anderson ran for 11 yards and, on a third-and-ten play, Frerotte connected with WR Ed McCaffrey for 11 yards to midfield. Smith then took off on an end-around play for a 50-yard touchdown and, adding Elam’s extra point, the score was knotted at 24-24. A big play on defense put Denver ahead when CB Jimmy Spencer, starting in place of the injured Ray Crockett, intercepted a pass and returned it 21 yards for a touchdown with the clock showing less than six minutes remaining to play. But the Seahawks came back with an 86-yard series that took just six plays. Kitna completed a pass to Watters in a third-and-20 situation that covered 59 yards to the Denver eight, and from there WR Sean Dawkins pulled in a touchdown pass. With Lindell’s PAT, the score was again tied at 31-31. It didn’t stay tied for long when, two plays into the next series, Anderson headed around left end and broke away for an 80-yard touchdown, slowing down to avoid two defenders at the ten before proceeding to the end zone. There was still 3:46 remaining, but the game ended with Kitna throwing four incomplete passes after reaching the Denver 40 and the Broncos held on to win by a final score of 38-31. Denver had the edge in total yards (538 to 354), with 301 yards of that total coming on the ground. The Broncos also led in first downs (25 to 17), although they hurt themselves with five turnovers, to three suffered by the Seahawks. Mike Anderson rushed for 195 yards on 30 carries that included two touchdowns. Gus Frerotte (pictured at left) completed 15 of 31 passes for 244 yards and a TD, but with two intercepted. Rod Smith had four catches for 82 yards and, with the big scoring run on the reverse, gained 78 yards on three rushing attempts. For the Seahawks, Ricky Watters was highly productive with 77 yards on 16 carries that included a TD and 9 pass receptions for 126 yards. Jon Kitna was successful on 20 of 42 throws for 226 yards and a touchdown as well as two interceptions. Sean Dawkins contributed 7 catches for 54 yards and a score. The Broncos won their next two games, including a rematch with the Seahawks in Denver, and finished up the regular season with an 11-5 record. That placed them second in the AFC West and qualified for a Wild Card playoff spot, where they lost to the eventual-champion Baltimore Ravens in the first round. Seattle ended up fourth in the division at 6-10. Mike Anderson’s 195-yard rushing total was not his season high – the next week he gained 251 yards at New Orleans. He ended up with 1487 yards on 297 carries with 15 touchdowns. Anderson had spent four years in the military and didn’t play football until he entered college. 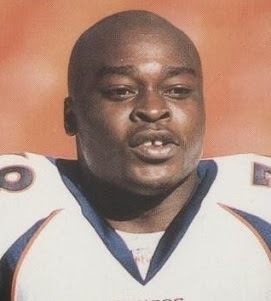 Chosen by the Broncos in the sixth round of the 2000 NFL draft, he made the most of the opportunity presented to him when injuries depleted the backfield and was a key to Denver’s playoff run. Ricky Watters (pictured at right) rushed for 1242 yards on 278 attempts (4.5 avg.) and caught 63 passes for 613 yards while scoring a team-leading total of nine touchdowns. It was his sixth straight thousand-yard rushing total and seventh overall in a career that started with the 49ers. 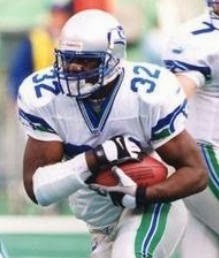 It was his last year as a full-time starter as Shaun Alexander supplanted him in 2001, his final season. 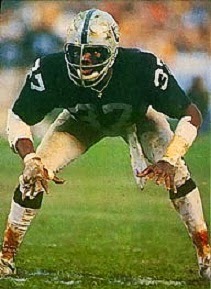 Impressed by his hard-hitting style in college, although recognizing that he would be something of a project as a pro defensive back, Hayes was chosen by the Raiders in the fifth round of the 1977 NFL draft. He moved into the starting lineup in his second year and in 1979 received second-team All-AFC recognition from UPI after intercepting seven passes, two of which he returned for touchdowns. Raiders went 11-5 to finish second in the AFC West and qualify for a Wild Card playoff spot while leading the NFL in interceptions (35). Won AFC Wild Card playoff over Houston Oilers (27-7), AFC Divisional playoff over Cleveland Browns (14-12), AFC Championship over San Diego Chargers (34-27), and Super Bowl over Philadelphia Eagles (27-10). 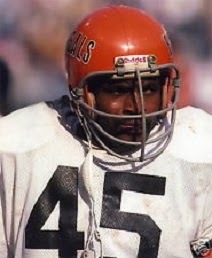 Hayes had been known for covering himself in the substance stickum, which was banned by the NFL following the ’80 season. The ban seemed to affect his performance as he followed up with only three interceptions in 1981, although Hayes was still chosen for the Pro Bowl and received first-team All-NFL recognition from The Sporting News. 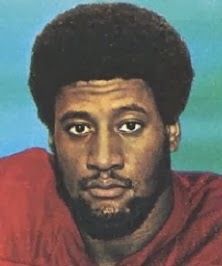 Hayes continued to be a fine cover corner and ended up being named to the Pro Bowl five straight times, through 1984, even though he never again approached his high interception total of 1980. In a career that lasted until ’86, all with the Raiders, he had a total of 39 interceptions, which he returned for 572 yards and four TDs, and the team won two Super Bowls along the way. The New York Giants were riding a six-game winning streak as they came to Philadelphia for a Monday night contest on November 23, 1970. Head Coach Alex Webster’s team was 6-3, having lost its first three games before catching fire. While QB Fran Tarkenton remained the key to the offense in his fourth year with the club, the addition of HB Ron Johnson, who played his rookie season with the Browns in ’69, added a versatile ground-gaining element. 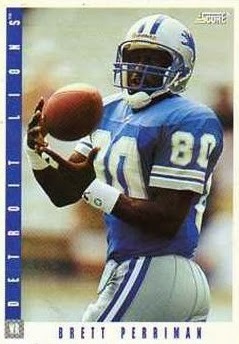 Veteran WR Clifton McNeil and rookie TE Bob Tucker were good receivers who were also newcomers to the club. While the defense had talent in DE Fred Dryer and FS Carl “Spider” Lockhart, there were concerns about the remainder of the line and linebacking corps. The Giants had not been to the postseason since 1963 and were looking to keep pace in the newly-formed NFC East. Philadelphia was coached by Jerry Williams for the second year and was already well out of the running at 1-7-1. However, the Eagles were showing signs of life, having upset Miami two weeks earlier and then tying Atlanta. 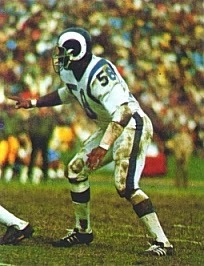 QB Norm Snead (pictured above) had a strong arm but was prone to tossing interceptions. The running game had lost FB Tom Woodeshick to injury, although rookie FB Lee Bouggess was a good receiver out of the backfield and HB Cyril Pinder was picking up yards. The defense had a rising star in Tim Rossovich, a colorful character who had been shifted to middle linebacker from defensive end. It was a cold night at Franklin Field with 59,117 fans in attendance for Philadelphia’s first-ever Monday Night Football contest. The Eagles moved methodically down the field with the game’s first possession. Cyril Pinder ran for 14 yards on a third-and-six play and Norm Snead converted a third-and-ten situation with a pass to TE Gary Ballman for 19 yards. The drive finally stalled and Philadelphia came up empty when Mark Moseley missed a 39-yard field goal attempt. The teams traded punts before the Giants put points on the board. The kick by Philadelphia’s Bill Bradley sailed only 28 yards, giving the visitors excellent starting field position at the Eagles’ 46. It resulted in a 29-yard field goal by Pete Gogolak. Heading into the second quarter, the Eagles took advantage of a bad pass from center by the Giants on fourth down that gave them the ball at the New York one. Snead scored from there on a quarterback sneak but Moseley missed the extra point and the Philadelphia lead remained 6-3. The Giants got a break when they recovered a fumble at the Philadelphia 13 that set up a two-yard touchdown carry by Ron Johnson. Gogolak added the PAT and New York was up by four. As the first half wound down, New York added to its lead, getting a 29-yard Gogolak field goal with 36 seconds left on the clock. 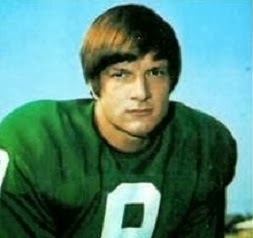 However, Eagles WR Billy Walik (pictured below) returned the ensuing kickoff 57 yards and it set up a 29-yard Moseley field goal on the last play of the half. New York’s lead was cut to 13-9 at the intermission. New York punted following the first series of the third quarter and the Eagles moved well as Snead completed passes to WR Ben Hawkins for 25 yards and to WR Harold Jackson for 27 yards to the New York 13. Six plays later, after Pinder and Lee Bougess carried the load, Snead threw to TE Fred Hill for the last yard and a touchdown. Moseley added the extra point and Philadelphia was ahead by 16-13. The Giants came right back with an 11-play, 60-yard scoring drive of their own. Tarkenton completed three passes, including one to Bob Tucker for 18 yards, and Philadelphia was hurt by two 15-yard penalties. Tarkenton kept the ball himself for the last yard and a TD and Gogolak added the point to again put the visitors in front by four. Walik struck again as he returned the kickoff 45 yards to give the Eagles good starting field position at the New York 46, and a Snead pass to Hawkins picked up 31 yards. While the receiver fumbled at the end, G Jim Skaggs fell on the ball to not only save the possession but gain another three yards. The home team was inside the ten yard line as the action moved into the fourth quarter and Snead scored on a one-yard plunge less than a minute into the final period. An exchange of fumbles followed and the Giants again had to punt. The Eagles took over from their 14 with over ten minutes remaining and put together a key series that allowed them to control the ball for the next 9:26. While they came up empty when Moseley missed a 36-yard field goal attempt, there were only 50 seconds remaining for the Giants to work with. Tarkenton desperately tried to pass the Giants into field goal position. He got them as far as the Philadelphia 42, but a penalty for an illegal receiver downfield moved the Giants back and time ran out on them. The Eagles pulled off the upset by a score of 23-20. Statistically, the game was very even. New York had the edge in total yards (287 to 281) while the Eagles were slightly ahead in first downs (18 to 17). The Giants turned the ball over three times, to two suffered by Philadelphia, all on fumbles. 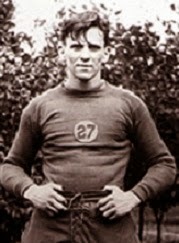 Missed kicks were a problem for the Eagles as Moseley failed on two of three field goal attempts as well as an extra point, but Billy Walik returned four kickoffs for 147 yards and a 36.8 average, with the two longest setting up scores. Norm Snead completed 12 of 17 passes for 173 yards and a touchdown with none intercepted, and had the two short rushing TDs. Cyril Pinder ran for 89 yards on 19 carries and caught three passes for 25 more yards. Ben Hawkins pulled in four passes for 99 yards. Tim Rossovich (pictured below) was a standout performer with his inspired play on defense. For the Giants, Fran Tarkenton was successful on 15 of 30 throws for 178 yards and ran the ball five times for 33 yards and a TD. FB Tucker Frederickson, who was effective on screen passes throughout the game, had 6 catches for 81 yards along with 32 yards on 8 rushing attempts. Clifton McNeil contributed four pass receptions for 62 yards. But the Eagles held Ron Johnson to just 35 yards on 16 carries that included a short touchdown. “What hurt us most was Walik’s kickoff returns which gave them great field position,” summed up Coach Webster for the Giants. The win was a high point of an otherwise-bleak season for the Eagles, who lost their next three games before winning the finale against Pittsburgh – their last regular season game at Franklin Field. They ended up at the bottom of the NFC East with a 3-10-1 record. New York remained in the hunt for a Wild Card playoff spot, recovering to win three straight before losing the season finale against the Rams. While their 9-5 record was the franchise’s best in seven years and put them second in the division, the Giants were a game behind the 10-4 Lions in the race for the Wild Card. In his seventh (and last) year with the Eagles, Norm Snead passed for 2323 yards and 15 touchdowns, but also 20 interceptions. Billy Walik, a rookie out of Villanova, ranked fifth in the NFC with a 25.2 average on 32 kickoff returns. As his performance against the Giants demonstrated, Mark Moseley, also a rookie, struggled with inconsistency throughout the year, connecting on 14 of 25 field goal attempts and 25 of 28 extra point tries, with several of his missed kicks coming at particularly inopportune times. He was cut during the 1971 preseason but would eventually put together a long and successful career that lasted until 1986, primarily with the Redskins. Ron Johnson became the first thousand-yard rusher in Giants history, gaining 1027 yards on 263 carries (3.9 avg.) while also catching 48 passes for 487 more yards. He scored a total of 12 touchdowns and was a consensus first-team All-NFL and Pro Bowl selection. As a side note, the game became notorious for what occurred in the broadcast booth during the national telecast. The Monday night games were in their first year and already becoming noteworthy for the acerbic commentary of Howard Cosell, the playful responses of ex-quarterback Don Meredith, in addition to the play-by-play offered by Keith Jackson. Eagles owner Leonard Tose had sent copious amounts of food and alcohol to the press box, which was unheated on the brutally cold night. During the first half, Cosell was noticeably slurring his words and departed at halftime after reportedly vomiting on Meredith’s cowboy boots. Cosell was accused of being drunk during the telecast, which he vehemently denied, insisting that he was suffering from an inner ear infection. Whatever the truth, the incident became an often-referenced part of Monday Night Football lore. Plunkett’s college career got off to a slow start due to a medical problem and then being redshirted for a year, but once he demonstrated his outstanding ability as a long passer, he became a highly productive quarterback. As a senior, he threw for 2715 yards and led Stanford to its first Rose Bowl victory in 19 years. 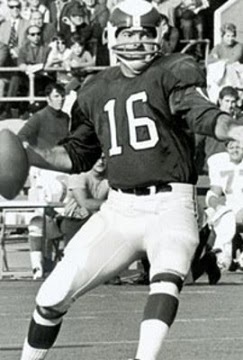 He also received the Heisman Trophy and, in what was viewed as a strong draft class for quarterbacks, Plunkett was the first overall pick of the Patriots for 1971. He moved directly into the starting lineup. Patriots went 6-8 to finish third in the AFC East, which was the team’s best record in five years. Plunkett’s outstanding first season was followed by a rough year in 1972 in which he passed for only 8 TDs while giving up 25 interceptions. A weak offensive line forced him to take a pummeling, and the team’s progress was fitful, with the best record 7-7 in 1974. Plunkett passed for a high of 2550 yards in ’73, but his best completion percentage was 51.3 and he always had more interceptions than TDs, including a league-leading 22 in 1974. In 1975 he lost the starting job to mobile rookie Steve Grogan. Plunkett was traded to the 49ers and it seemed like a perfect fit when the team got off to a 6-1 start in 1976, but then lost five of the last seven and finished with a losing record in ’77. Plunkett was released prior to the 1978 season and signed by the Raiders, where he sat on the bench for two years before an injury to new starting QB Dan Pastorini in ’80 gave him a new opportunity. Oakland went 9-2 with Plunkett behind center and went on to win the Super Bowl. He played another six years with the Raiders and quarterbacked the team to another NFL title in 1983. While he was not always consistent, Plunkett was hard-working and persistent in the face of adversity. For his career, he completed 1943 of 3701 passes (52.5 %) for 25,882 yards and 164 TDs with 198 interceptions. His record as a starting quarterback was a break-even 72-72, although the postseason tally was 8-2 with two championships. The Cincinnati Bengals were at 8-2 and had won four straight games as they faced the Kansas City Chiefs on November 21, 1976. The Bengals, coached for the first year by Bill Johnson, had a fine sixth-year quarterback in Ken Anderson, the league’s top passer the previous two seasons. With one of their two first-round draft choices, they took HB Archie Griffin (pictured at right), the two-time Heisman Trophy winner out of Ohio State, to add outside speed to their running game. The defense had talent in pass-rushing DE Coy Bacon, MLB Jim LeClair, cornerbacks Lemar Parrish and Ken Riley, and SS Tommy Casanova. Head Coah Paul Wiggin’s Chiefs, meanwhile, were slogging along at 3-7. Kansas City was an aging team with far too many starters over 30. 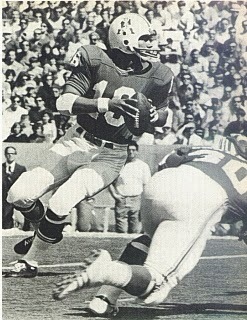 QB Mike Livingston had emerged from a long apprenticeship behind the now-retired Len Dawson, and second-year TE Walter White was developing into a good receiver. But the defense had too many holes, although rookie FS Gary Barbaro was proving to be a good find. It was a sunny day with 46,259 fans in attendance at Arrowhead Stadium. It didn’t take them long to see the home team fall behind. On the first play from scrimmage, Archie Griffin broke away for a 77-yard touchdown for the Bengals. Another rookie, Chris Bahr, added the extra point. The teams traded punts before the Chiefs mounted a drive that reached Cincinnati territory. FB MacArthur Lane had a 17-yard carry and HB Tommy Reamon got the ball to the Bengals’ 40 with a 10-yard run, but the possession stalled there as Mike Livingston overthrew three straight passes. Kansas City was forced to punt. The Bengals, taking over at their 20, proceeded to advance 80 yards in nine plays. Griffin ran effectively and Ken Anderson completed three passes, including one to TE Bob Trumpy for 22 yards to the Kansas City 18. From there, FB Boobie Clark ran for a touchdown, and with Bahr’s second successful extra point, the visitors carried a 14-0 lead into the second quarter. The Chiefs got a break early in the next period when Anderson, on a quarterback keeper up the middle, fumbled and MLB Willie Lanier recovered at the Cincinnati 35. But three running plays accumulated seven yards and Jan Stenerud’s 35-yard field goal attempt was wide to the left. The teams once again exchanged punts before Anderson threw a pass that was intercepted by CB Emmitt Thomas, who returned it 29 yards to the Cincinnati 31. It looked like the Chiefs would again fail to take advantage when Lane was tossed for a two-yard loss and Livingston was sacked to put them seven yards further back. But on third-and-19, Livingston kept the ball himself and ran for the 19 yards he needed for a first down. Two plays later, Livingston passed to WR Henry Marshall for 23 yards to the one yard line, and from there Reamon went through the middle of the line for a TD. Adding Stenerud’s extra point, the Cincinnati lead was cut to 14-7. With 4:39 left in the half, the Bengals advanced to the KC 29, but a running play that lost yards combined with Anderson being sacked by DE Whitney Paul moved the ball back to the 34 and, after a pass fell incomplete, Bahr missed a 51-yard field goal try. The score remained unchanged at the half. The Chiefs had first possession in the third quarter and went three-and-out, but then got a break when Tommy Casanova fumbled the ensuing punt and LB Dave Rozumek recovered for Kansas City at the Cincinnati 10. Four plays later, Reamon scored a touchdown from a yard out and, with Stenerud’s successful PAT, the game was tied at 14-14. The problems continued for the Bengals on the kickoff when HB Tony Davis lost the handle on the ball and WR Lawrence Williams recovered at the Cincinnati 30. But after a first-play Livingston pass to Lane that picked up 16 yards, the Chiefs gained seven more yards and Stenerud’s 24-yard field goal attempt was blocked by Coy Bacon. After another trade of punts, the Bengals put together a 10-play, 62-yard drive. Anderson threw to Trumpy for 20 yards and, on a third-and-eight play, connected with the tight end again for 11 yards. Clark ran for 18 yards on a sweep and Anderson picked up 11 on a carry up the middle. FB Stan Fritts went one yard to cap the series with a TD, and while Bahr’s extra point try was unsuccessful, the visitors were back in front by 20-14. Williams returned the kickoff 37 yards for the Chiefs and they were into Cincinnati territory as the game moved into the fourth quarter thanks to a Livingston pass to Lane for 23 yards and carries by Reamon and HB Ed Podolak that added another 12 yards to the Cincinnati 31. On the second play of the final period, Livingston connected with Walter White for 16 yards and, after two short runs and a reverse by Marshall that picked up seven yards, Stenerud kicked a 24-yard field goal to narrow the margin to three points. The Bengals continued to have trouble holding onto kick returns as DB Melvin Morgan fumbled the kickoff and Gary Barbaro recovered for the Chiefs at the Cincinnati 21. From there, a loss on a running play and a holding penalty backed Kansas City up, but facing a third-and-23 situation, Livingston completed a pass to White in the end zone for a 34-yard touchdown. With the successful conversion, the Chiefs were in front by 24-20. Once again a KC kickoff resulted in the Chiefs gaining possession as HB Lenvill Elliott’s 22-yard return ended with a fumble and FB Glynn Harrison recovered for the home team. With 11:44 left to play, the Chiefs started off at the Cincinnati 27 and gained five yards in three plays, but they failed to add to their lead when Stenerud missed a 39-yard field goal attempt. Once more the teams exchanged punts before, with just under seven minutes remaining on the clock, the Bengals went 62 yards in six plays. Griffin picked up 15 yards on two carries and two plays later a controversial roughing-the-passer penalty that drew vehement argument from the Chiefs added another 15 yards to the Kansas City 33. Anderson then threw to TE Bruce Coslet for 32 yards and Tony Davis went up the middle for the last yard and a touchdown. Bahr added the extra point and the visitors were back in front by three. 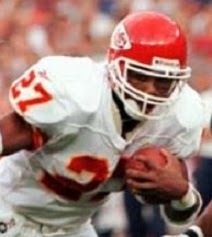 Two kickoffs went out of bounds, resulting in penalties and backing the Chiefs up, and Harrison then ran the next one back 35 yards to give Kansas City excellent field position at the Cincinnati 38. However, after advancing to the 22, Livingston was dumped for a seven-yard loss and Stenerud’s 46-yard field goal attempt sailed wide to the left. The Bengals were able to run out the clock and came away with a 27-24 win. The Bengals outgained Kansas City (373 yards to 251), with 269 yards of that total coming on the ground, and also had the edge in first downs (21 to 16). Cincinnati also recorded six sacks, to two by the Chiefs. However, the Bengals hurt themselves with six turnovers, five of them on fumbles, while Kansas City didn’t turn the ball over at all. Archie Griffin rushed for 139 yards on just 13 carries that included the long touchdown. Boobie Clark added 91 yards on 15 attempts and also scored a TD. Ken Anderson completed 9 of 17 passes for 123 yards with no touchdowns and one interception. Bob Trumpy topped the receivers with three catches for 53 yards. For the Chiefs, Mike Livingston was successful on 12 of 25 throws for 179 yards and a TD with none intercepted. Walter White (pictured at left) had 5 pass receptions for 87 yards and a score. MacArthur Lane ran for 36 yards on 13 carries and added four catches for 40 yards. Tommy Reamon, the former World Football League star, gained just 19 yards on 10 rushing attempts, but two of them were good for touchdowns. “It would have been a big win for us,” said a frustrated Coach Paul Wiggin, who vehemently questioned the roughing-the-passer penalty that allowed the Bengals to continue their winning scoring drive. In the showdown for the AFC Central the next week, the Bengals again fell to the Steelers in a snowstorm and lost the following game as well. They ended up with a 10-4 record, which put them in second place and on the outside of the postseason. Kansas City won two of its last three contests to finish at 5-9 and fourth in the AFC West. Archie Griffin, undersized at 5’9” and 191 pounds, had a good rookie season as he rushed for 625 yards while averaging 4.5 yards per carry. The 139-yard performance against the Chiefs ended up being the best single-game output of his career. 34-year-old MacArthur Lane led the NFL with 66 pass receptions, which gained 686 yards, and he also added 542 rushing yards, although averaging only 3.3 yards per attempt. Walter White caught 47 passes for 808 yards (17.7 avg.) and scored seven TDs.